Striker Mandeep Singh scored a brilliant hat-trick as India outplayed Canada 7-3 in a goal fest to set one foot in the summit clash of the Sultan Azlan Shah Cup hockey tournament here on Wednesday. The 24-year-old Mandeep fired in three quick field goals (20th, 27th and 29th minutes), all of them coming in the second quarter, after Varun Kumar had given India the lead in the 12th minute of the high-scoring match. 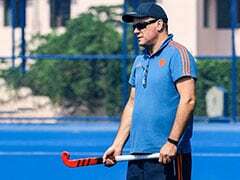 At the half time, India were 4-0 up in the match before Canada reduced the margin through a strike from Mark Pearson in the 35th minute. Amit Rohidas (39th), Vivek Prasad (55th) and Nilakanta Sharma (58th) struck later to take the game beyond the reach of the Canadians who scored two late goals through Fin Boothroyd (50th) and James Wallace (57th). With the win, India continued their unbeaten run in the tournament, with three wins and a draw to top the round-robin league table with 10 points. They play their final league match against Poland on Friday. India built on the momentum in the second quarter and made several circle entries. Sumit Kumar Jr once again created an opportunity when he sent a fine pass to Mandeep who simply had to deflect the ball into the goal, taking India's lead to 2-0. In the following minute, Surender Kumar created a penalty corner for India but an alert Canadian goalkeeper made a good save off Amit Rohidas' flick. India earned two more penalty corners in the following minutes but failed to convert them. Canada earned their first penalty corner in the 26th minute, but drag-flicker Gordon Johnston sent the ball wide. Continuing to use full-press to their advantage, India held their sway. Midfielder Kothajit Singh dispossessed a Canadian player to make a brilliant assist to Mandeep from the 25m mark. Mandeep made no mistake in sending it past Canada goalkeeper Antoni Kindler. Mandeep then combined with Sumit before scoring his third goal of the day and complete his hat-trick in the 29th minute as India were 4-0 at half-time. India continued to control the game with good ball possession and gave few opportunities for Canada to make a comeback. 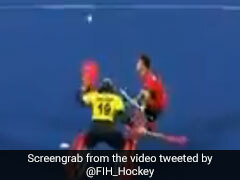 However, an infringement by an Indian defender gave away Canada's second penalty corner in the 35th minute. 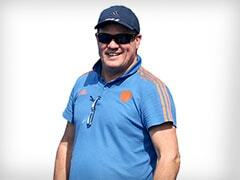 Mark Pearson ensured the opportunity was not lost as he put the ball past India goalkeeper Krishan Pathak with a powerful flick. Though Canada narrowed down the lead to 2-5 in the 50th minute, an excellent long-aerial ball by Varun Kumar to Mandeep in the circle helped him assist Vivek Sagar Prasad score a fine field goal to take India's lead to 6-2. Nilakanta Sharma finished the game for India on a fine note as he converted a good assist from Hardik Sigh in the 58th minute, which was a fitting reply to Canada's previous goal through a penalty corner in the 57th minute through James Wallace.